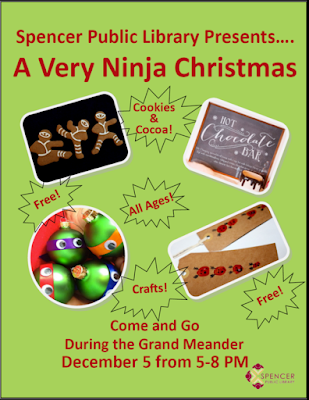 News at Spencer Public Library: It's A Very Ninja Christmas @ SPL! It's A Very Ninja Christmas @ SPL! Monday, December 5 from 5:00-8:00 PM– Grand Meander at Spencer Public Library- Take a break from the holidays and stop by the library for some crafts and a hot cocoa bar. Make adorable Thumbprint Christmas Gift Tags and write a card for one of the libraries home-bound patrons. The Grand Meander is on Ninja Day! 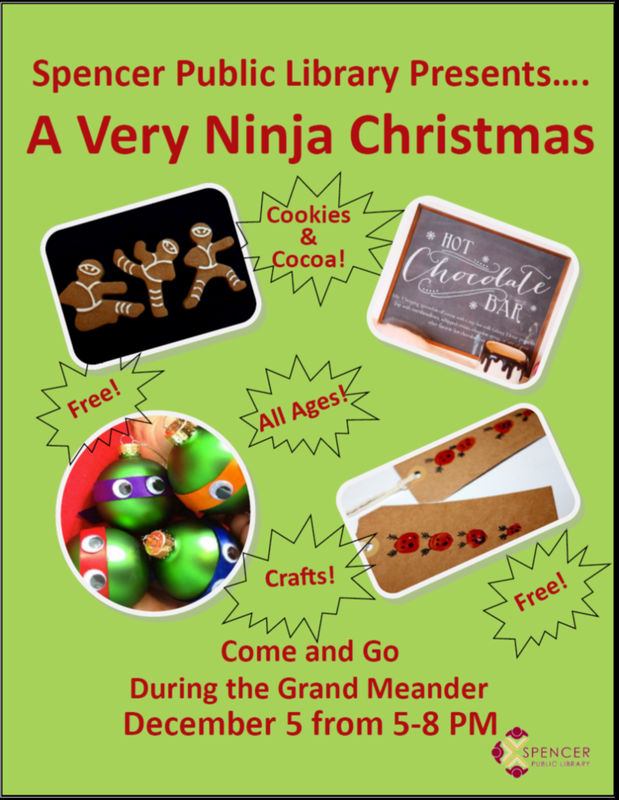 The library will combine the two events with ninjabread cookies and ninja ornaments. FREE for all ages – for more information call 580-7290.